George “Machine Gun- Kelly (née George Barnes, Jr) was a very bad man — his press agent said so and FBI chief J. Edgar Hoover helped by naming him Public Enemy Number One. Kelly’s press agent was his second wife, Kathryn Shannon (whom he married in September 1930), and a reporter probably got closest to the truth when he wrote that Kelly was “a good-natured slob, a bootlegger who spilled more than he delivered”. He did, in fact, rob a few financial institutions but his big moment came when, at his wife’s insistence, with Albert Bates, he kidnapped millionaire oil tycoon Charley F. Urschel who was playing cards with a neighbouring couple. Kelly had not done much research and had no idea which of the men was Urschel so he took them both. In the getaway car he examined the wallets of both men and finally discovered which one was his intended target. He collected a ransom of $200,000 and then Kathryn insisted that they kill Urschel so that he couldn’t later identify them but Kelly refused, saying it would be “bad for business”. Unfortunately, Urschel was able to give the FBI so many clues that they were able to capture Kelly and Bates. 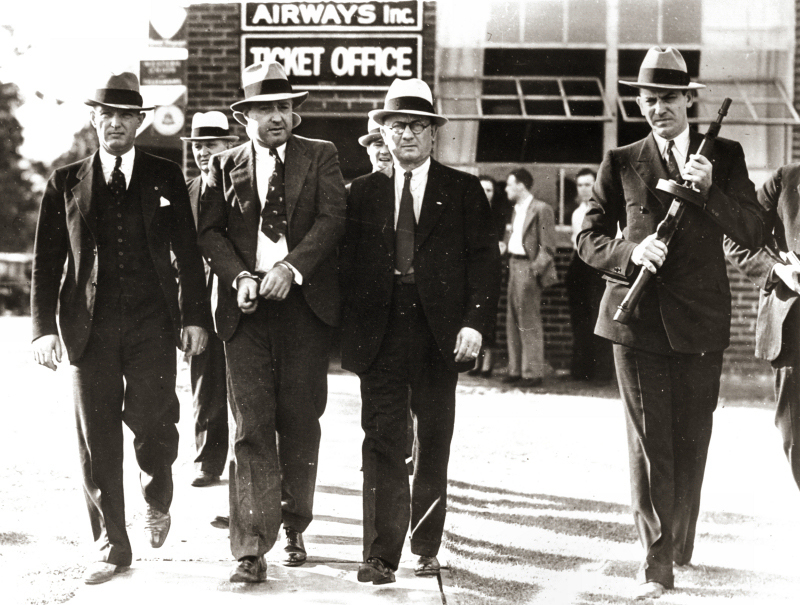 Supposedly, when he was arrested on 26 September 1933 Kelly crouched in a corner with his hands above his head crying, “Don’t shoot G-men… don’t shoot.” The story that this is where the nickname “G-men” for FBI agents came from is merely a legend, as Kelly was actually captured by three normal Memphis policemen. Kelly, his wife and Bates were sentenced to life imprisonment on 12 October 1933. Kelly and Bates were sent to Alcatraz (where Bates died on 4 July 1948) before Kelly was moved to Fort Leavenworth. He died there of a heart attack on 18 July 1954, his 59th birthday. Kathryn Kelly was released in June 1958 and died in Oklahoma in 1984.